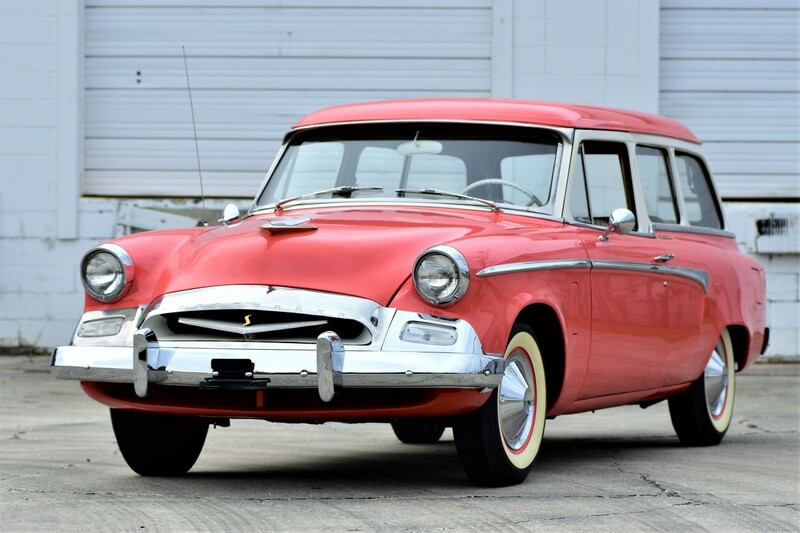 A handsome 1955 Studebaker Champion Conestoga two-door wagon will be auctioned next month during the RM Sotheby’s sale on Amelia Island, Florida, to benefit the Amelia Island Concours d’Elegance Foundation. The Conestoga wagon – named in honor of the “prairie schooners’ produced by the South Bend, Indiana, company during the 1800s before it became an automaker– was donated to the foundation to benefit Spina Bifida of Jacksonville. 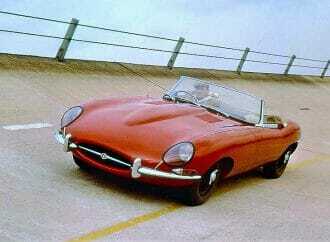 The donor also will match the selling price, doubling the contribution to the non-profit organization. 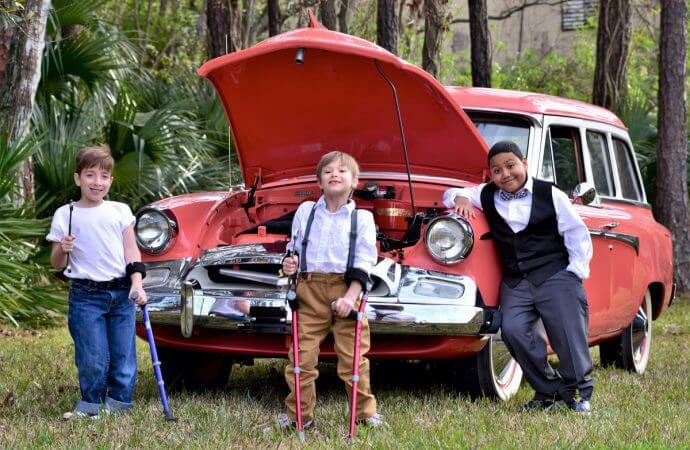 Spina Bifida of Jacksonville is dedicated to raising awareness about the crippling birth defect and to creating a network of support for local families and individuals dealing with the condition. 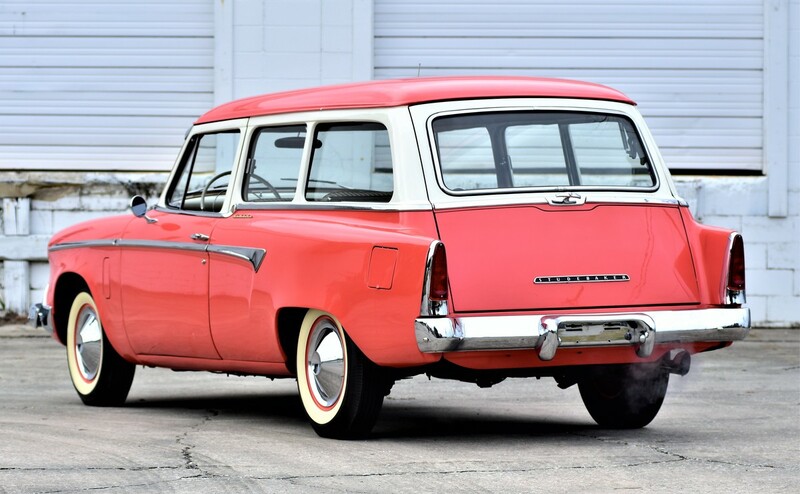 The restored Studebaker is a split-tailgate station wagon powered by the standard six-cylinder engine and three-speed manual transmission. 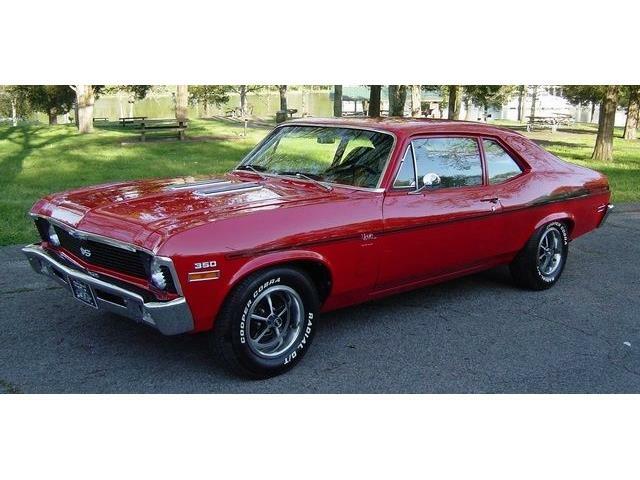 Based on the Champion’s 116.5-inch wheelbase, fewer than 5,000 Conestogas were produced. RM Sotheby’s Amelia Island Auction takes place at the Ritz-Carlton Amelia Island on March 10. 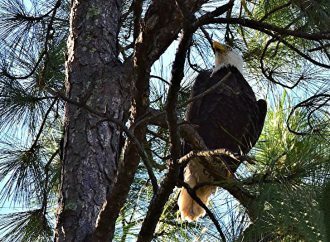 For details, visit the auction website. 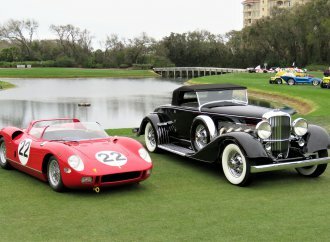 The 2018 Amelia Island Concours d’Elegance will be held March 11 on the fairways of The Golf Club of Amelia Island at the Ritz-Carlton. 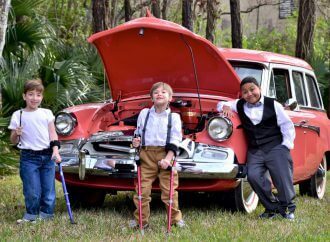 The concours foundation has donated more than $3.2 million to Community Hospice of Northeast Florida, Inc. and other charities on Florida’s First Coast since its inception in 1996.